Question. If you wish to book a flight ticket for your upcoming holiday, which airline’s portal you’d be heading to first? The answer is very obvious, isn’t it? I bet you’re going to say AirAsia. Well, so am I. Every single time when I think of a holiday, AirAsia will come to my mind first. Why is that happening? Easy, because they want us to think it that way. Each and every time when the AirAsia name flying by my mind, I will think of only three things: Low-Cost Airline, my upcoming holidays and Tan Sri Tony Fernandes. Everyone knows that AirAsia is a creative organisation when it comes to marketing, especially their online marketing initiatives. Everyone knows that their strategy is extremely aggressive, up-to-date and effective. AirAsia was born in 2001 after Tan Sri Tony Fernandes and Datuk Kamarudin Meranun purchased Tune Air Sdn Bhd, a financial-troubled airline company from its previous owner. These two best buddies then turned this financially-sick company into a world-class budget airline company that revolutionise global airline game not only in Asia but globally. Not only that, they also indirectly revolutionise the whole travel industry in this part of the region too. After more than a decade in operations, AirAsia is now a global brand. From the marketing perspective, what have they done right that makes the brand name of AirAsia so successful? Let’s take a look at these fundamental points. Target Market and Solving A Problem. AirAsia’s overall business and marketing strategy started here. Taking the success stories of Ryanair and Easyjet back in Europe as their vision, AirAsia team convinced that the low-cost airline is the way forward. They decided to focus and roll in Asia. They believe they can change and disrupt the entire airline industry via democratising their pricing model. Easy-To-Understand Branding. Once AirAsia identified their target markets and problems to be solved, the rest of the marketing and branding parts are going to be easy. Then they decided to name the brand as AirAsia. With this AirAsia as the brand name, indirectly they were announcing to the world that they are going after the Asia airline market. They want to conquer Asia. The name itself explains everything. That is why the right name is extremely important for a business. Tagline. AirAsia needs another statement to support the AirAsia brand value proposition so that the people can understand everything about them without having to explain further or again and again. Now Everyone Can Fly, was chosen as AirAsia’s tagline to support the brand. To me, their chosen tagline is brilliant. Without having to opt for a long-winded and complex set of words, they just came up with just a simple yet meaningful tagline. Despite just one simple sentence, it clearly says to me that as a potential customer I can travel anywhere I want, safely, without a hassle and just have to pay a reasonable amount of money for it. If you want to know whether a tagline or logo is effective or otherwise, just ask a 10-year old kid. I can tell you now that my kids know and can easily spell out what AirAsia’s tagline is right now. Direct Touch To Consumers Via Online Marketing. I was quite surprised when AirAsia was at their infancy stage many years ago that they decided not to sell tickets via agents. Instead, they opted for the utilisation of technologies. Today, ticketing agents are no longer relevant. People, like me, prefer to purchase tickets online. AirAsia already embarking the internet and e-commerce way of doing things before any other companies. They realised early that the internet and e-commerce are truly a game changer tools that can’t be ignored. Look at them today, look at how you check the prices today, look at how to buy your tickets today, look at how you do your check-in today and look at how you purchase your in-flight food today. 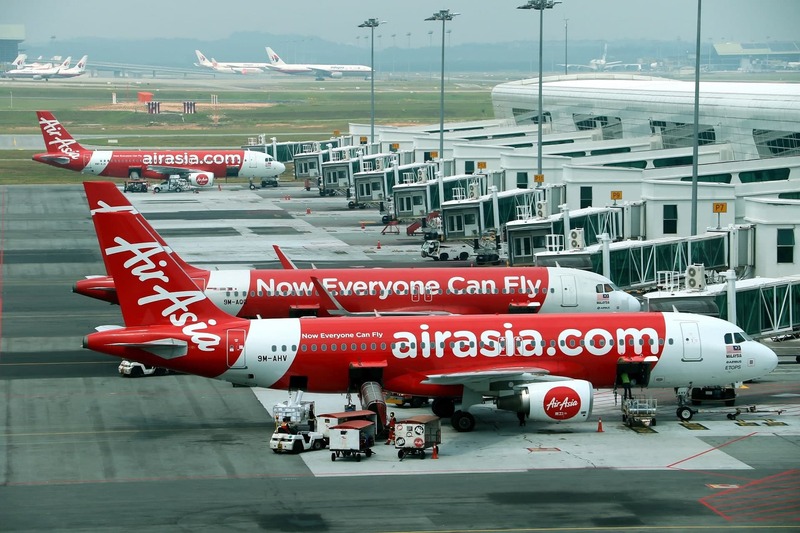 AirAsia put a lot of efforts and resources on automating standard processes online. Their website and portal are easy to navigate, great user experience and expectation as well as mobile-ready too. Unlike some of their competitions who do not pursue the online marketing efforts with their hearts, AirAsia just marching ahead of them. Today, AirAsia has become the benchmark of the industry and the rest are trying their luck copying AirAsia. Social Media Utilisation. While the rest of the organisations out there want to stay ‘corporate’ and utilising social media without any sense of direction, AirAsia, on the other hand, is doing it differently. They want to become as ‘human’ as possible. So what they do is they established and grow their very own community. Social media channels are being used wisely, to establish conversations and at the same time quietly collecting feedbacks. This way, direct interactions with their own community who also their fans and customers are made easy. Talking and chatting over social media is encouraged. Even Tan Sri Tony Fernandes and Datuk Kamarudin Meranun are avid users of social media. They interact with their friends, staffs and even customers directly. They make red-tapes history. Why are they encouraging their staffs to interact socially over social media? Simple, they want to convert online friendships into closer trustworthy real-life friendships. When this happens, this network of new friends of their staffs will trust AirAsia and make AirAsia part of their travelling plan. Email Marketing. AirAsia realises that these social media channels are regularly changing algorithms from time to time. Today, it is no longer easy and cheap to do online marketing over social media as before. That is why they are growing their community and make it as big as possible. Once the community is huge, they will no longer depend on social media to stretch the reach of each social media posting. What they just do is simple, they convert social media followers into subscribers to their weekly newsletter. When these people become a subscriber, team AirAsia can easily blast out any announcement or promotions directly to each and every customer directly. They know that they can control only the content and community elements of it, but not social media. In the future, when social media marketing is getting ridiculously expensive, they might just utilise it as a conversation channel only – nothing more. It is time for you to understand the foundation elements of AirAsia online marketing secrets. As you can see, it is not just marketing part of it only that they are doing it creatively, but also the core of their very own business model as well. Are you willing to go deeper and revisit your business model in order to ease your branding and marketing journey?